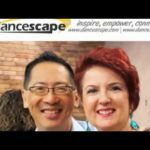 #Halloween Fun @danceScape – #ballroom #salsa #danceTONE #danceFLOW #qigong/#taichi Wishing everyone a fun and safe Hallowe’en! #trickortreat? #shallwedance?